Welcome to the iRest Institute Team Page. Here you will find profiles for our Office Team. These are the talented people who make things run smoothly behind the scenes. If you wish to contact anyone, you may do so via: our contact form, by calling the office at (415) 456-3909, or by emailing info@irest.org. Les manages IT for IRI and also acts as a Special Assistant to the Executive Director. He has a background in Project Management, IT, Business & Technical Management, Process Automation, and Developing Business Processes. Les began volunteering with IRI in May 2014 after hearing Richard’s call for help to cover the growing workload in the office. After several months of volunteering, he was invited to make a bigger commitment to help move IRI forward. Les also served for several years on the IRI Board of Directors from 2006 through 2009. On a personal note, Les stumbled into a six-week Yoga Nidra workshop with Richard Miller in 1999. One thing led to another and soon there were weekly meditation groups, workshops, classes, and exquisite retreats with Richard, as well as iRest Level 1 & II Trainings. Les is delighted to be working with an organization that does such good work in the world and whose teachings have had such a profound impact on his life. Eli is a marketing specialist at IRI with a focus on digital marketing and social media. He is a certified Google Partner and AdWords Specialist with an extensive background in social media management and paid advertising from his previous company, Bucketz, a recruitment platform he founded in 2015. Eli brings with him a modern approach to helping IRI spread the word about the benefits of iRest and the positive impact it brings to people's lives. He is tasked with helping IRI cast a wider net, which includes: search engine marketing, social media management, digital advertising, search engine optimization, website content editing, copy writing, and graphic design. Eli was born and raised 10 minutes away from the IRI office in San Rafael. As the son of a yogi and lifelong meditator, he has been involved in and aware of this community his whole life. Eli spent most of his life playing sports and taking advantage of the outdoors. After graduating from Colorado College, he packed up his snowboard and his mountain bike and moved back to the Bay Area, where he currently resides in San Francisco. In her spare time she runs wild with her two nieces, enjoys cooking (she used to be a pastry chef! ),​ and spending as much time out of doors as possible. As Administrative Specialist at IRI, Sara manages the day-to-day tasks that help keep our office running smoothly. She also supports the growth of our organization through a variety of special projects. Sara brings with her a diverse background in audio engineering, customer service, sales, store management, and fundraising. One of her favorite things to do at work (besides collaborating with others) is to create the most efficient systems and spreadsheets possible to make everyone’s job easier. Aside from studying for her Master’s degree in Integrative Health Studies, Sara loves to spend time outdoors hiking or hopping in the car for road trip adventures. Moses is a Marketing and Communications specialist at IRI, and is responsible for digital marketing. His day to day includes creating social media approaches with guidance from Eli Bresler. Their goal is to promote a lively social media presence for IRI. Being the first in his family, Moses graduated from the University of Cincinnati with a Marketing and Entrepreneurship degree in May of 2017. 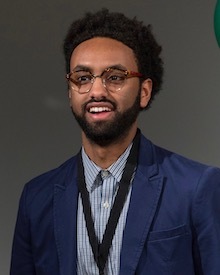 Before IRI, Moses was a social and digital media intern at ORION Electronics Company, a startup based in Cincinnati, Ohio. In May 2018, Moses directed and edited a video for the University of Cincinnati James L. Winkle College of Pharmacy. Out of 75 institutions across the United States, the University of Cincinnati’s submission was selected as one of the six finalists. In his free time he either is playing soccer, watching soccer, or running. Moses was born in Ethiopia, but his family moved to Cincinnati three months after he was born. He spent his whole life in Cincinnati and continues to live there while working for IRI. Kirsten is the Director of iRest Teacher Certification at IRI as well as a Supervisor and Senior Retreat Teacher. She has been an ardent student and teacher of iRest and non-dual teachings for 2 decades. She leads several weekly classes in Body Sensing and iRest Yoga Nidra meditation in her home town of Kimberley, B.C. Canada, and travels to offer workshops and teach at retreats. 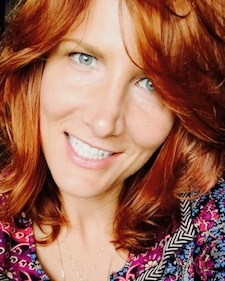 Kirsten is passionate about sharing the "waking in" teachings that develop a deep sense of self acceptance and a willingness to embrace all of life’s ups and downs with a sense of ease and grace. She values balance in all areas of her life, and can often be found hiking, biking, and skiing in the mountains that surround her home. Tim is the Systems Admin at IRI. In 2008, he earned an Associates Degree in Information Technology, and is certified CompTIA A+ in both Hardware and Software. He brings with him many years of assisting non-profits with all things technological, including: desktops, peripherals, databases, mobile devices, networks, and most operating systems (including: Windows, Mac, Linux, and Chrome). He also works on special projects, website maintenance, copy editing, video editing, and other fun stuff. He enjoys finding ways to leverage technology to make tasks quicker and easier. And he lives by the motto: work smarter, not harder. Tim completed a 500 hour Somatic Yoga Therapy Teacher Training with Janice Gates in 2015. He is also an iRest Level 2 Teacher. He absolutely loves talking about Yoga and is obsessed with the Yoga Sutras. His proudest accomplishment is continuing to do his own personal practice every morning in line with the teachings of the Yoga Sutras. Francisco is Event Coordinator at IRI and brings with him extensive experience in corporate training and event coordination. He excels in copywriting, attention to detail, improving organizational efficiency, and enjoys developing new procedures to help IRI grow. Originally from Chicago, Francisco is excited to run marathons in the sunny California weather and practice Bikram Yoga. He has a background in neuroscience and philosophy, and is a long-time meditator. He spends his evenings studying and writing in Consciousness Studies, and exploring the relationship between the brain and mind. Stephanie is Director of Operations, Senior iRest® Trainer, and Retreat Leader for the iRest Institute. She also serves as a research consultant studying the benefits of iRest meditation on such issues as PTSD, insomnia, chronic pain, and resilience. In addition, she serves on the Certification Committee for IAYT (International Association of Yoga Therapists) helping to promote standards and credentialing for the yoga therapy field. Stephanie is committed to spreading the iRest teachings throughout the world and she considers it a great privilege to support the thriving iRest community of teachers and students. Stephanie’s offerings are informed by 25 years of immersion in nondual teachings. As a psychotherapist, yoga therapist, and meditation teacher she bridges eastern wisdom with western psychology and neuroscience to support healing and transformation. 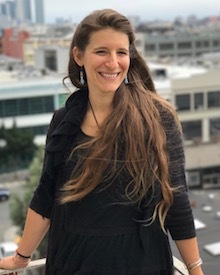 Stephanie lives in San Rafael, California where she enjoys hiking in the redwoods with her husband, Francisco, and basking in sun spots with their two cats, Juniper and Luna. Alana is the Executive Director of the iRest Institute. Alana joined the iRest institute in 2016 as a consultant and then was appointed to the Board of Directors in 2017. 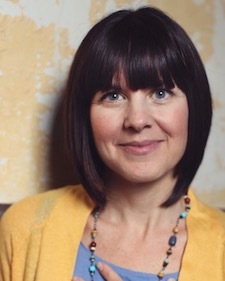 She was made Executive Director in 2018. Alana brings with her two decades of communications and marketing experience. She has worked as both a journalist and as a senior executive leading large communications and marketing teams in the Ontario Government. She has a passion for connecting people, team building, and for driving project goals forward. Alana is a Canadian transplant living in Northern Kentucky. She lives with her husband, Mike, their daughters Avery and Isabella, and their Sheepdog, Sadie-Grace. She enjoys hiking, skiing, and playing in and around large bodies of water.